See the latest Champions League predictions and betting tips for this season, with match previews, the latest betting odds and all the news for the upcoming UCL fixtures. Nothing quite beats the prestige of the Champions League and putting your money on the midweek action can be very lucrative. Naturally, you can’t study every European league, but we have some of the best football tipsters who can! Our Champions League prediction articles give you all latest news as well as the best odds and betting tips on all the big games. We offer detailed analysis of all the games involving Premier League teams and all the big clubs across Europe. Our experts live for the European leagues and our predictions offer the best analysis accompanied some of our key betting selections on each Champions League tie. Our previews are built around making you the most money, with each article focussing on the best odds and promotions for you. There are lots more football predictions across our websites including Premier League and international football betting previews. When will you pick your Champions League betting tips? Our Champions League predictions are posted a few days before each match-day, giving us the chance to bring you the most up-to-date news and views and all the latest odds and offers. We’ll bring you the best Champions League accumulator tips as well as goalscorer odds, BTTS tips and any specific outcomes we expect. Where will your Champions League predictions be? You’ll find all our Champions League betting previews above and it’s well worth keeping an eye across our match previews and Twitter account to keep fully in the loop. You can find us on Twitter at @thatsagoal, so you can get all our Champions League tipster offerings directly to your social media feed. Where do you find the best Champions League bets? Not only do our tipsters know all there is to know about the Champions League, they also know exactly where to find the best odds and promotions too. They’ll source the best odds from all the top UK bookmakers including William Hill, Paddy Power, and Betfred. 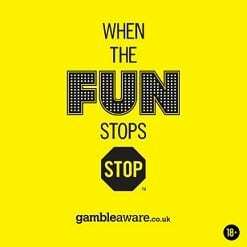 We’ll deliver you the best free bets, enhanced odds, and acca opportunities, meaning you won’t have to shop around. What are the best Champions League free bets? At thatsagoal we love a free bet and not only will our free bets page walk you through exactly what one is, you’ll also be given the finest ones on the internet. All the biggest bookmakers in the world will offer you a free bet or enhanced odds on sign up, and they’re worth checking out if you’re planning on a big win on the Champions League or Premier League. Our Champions League predictions are among the finest on the web, and our Premier League betting tips aren’t bad either. Every weekend we review all the biggest games in the English top flight, bringing you the best betting tips, free bet opportunities, and news and views. We’ll also bring you the best reviews on the Football League, La Liga, Bundesliga and plenty of other games across major European leagues. Elsewhere you’ll find betting tips in our accumulator tips section as well as our BTTS and anytime goalscorer pages.